To request a current resume, please click here. Mr. Cummings has over 25 years of geotechnical experience in transportation, heavy construction, and mining. Mr. Cummings has provided geotechnical engineering to federal, state and local transportation authorities on urban freeway and rural highway development projects, involving materials testing, geotechnical exploration in rock and soil, pavement design, retaining walls, drilled shafts, and heavy earthwork in rock and soil, the last including development of rock blasting procedures in sensitive scenic and infrastructure settings. 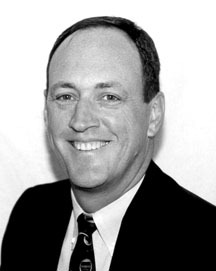 In 1996, Mr. Cummings founded Saguaro GeoServices, Inc. (SGSI) with the goal of providing focused geotechnical problem-solving on large mining and transportation projects. Among Mr. Cummings' accomplishments has been his service as blasting consultant and field geological engineer on major highway corridor improvements that require special aesthetic treatments and traffic control during construction. Mr. Cummings was a co-developer of construction provisions for "roadway rental" on highway projects where traffic impacts by blasting must be minimized. He has also been instrumental in designing and using special rock blasting procedures in where a natural appearance must be accomplished without sacrificing stability. As a blasting consultant he has been involved in trenching, mass excavation, underground blasting, and large open cuts. When the town of Summerhaven, in rugged mountains near Tucson, Arizona, was cut off after heavy rains washed out the main access road, Pima County contacted Mr. Cummings, who conceived and carried out an emergency blasting and detour construction program that re-established access ahead of official estimates. Mr. Cummings has led the engineering response for problems arising from abandoned coal and metal mines, including acid drainage abatement actions, subsidence prediction and control, physical hazard abatement, and slope failure repair. He has successfully completed stability studies for large and small open pit mine slopes, underground mines including longwall and shortwall coal mines, and block caving metal mines. He has conducted field instrumentation and in situ testing programs; used numerical modeling to analyze rock stability; designed foundations, slopes, and tunnels; and participated on technical review boards and multidisciplinary problem-solving teams for large design projects. He has served as an expert witness in litigation involving blasting vibrations, underground stability, and abandoned mine subsidence. For 7 years he was a technical advisor on the design studies and in situ testing for underground high-level nuclear waste repositories. Mr. Cummings has conducted geotechnical and mineral exploration programs throughout the western US. Mr. Cummings holds BS and MS degrees in Geological Engineering from the University of Arizona and is registered as a Professional Geological Engineer in Arizona. He is a member of the International Society of Explosives Engineers, the Society of Mining Engineers of AIME, and the Association of Engineering Geologists, and is affiliated with other professional organizations including the International Society for Rock Mechanics. He has taught Rock Excavation at the University level and has over 20 published technical papers to his credit.